The following material is presented as a possible explanation. 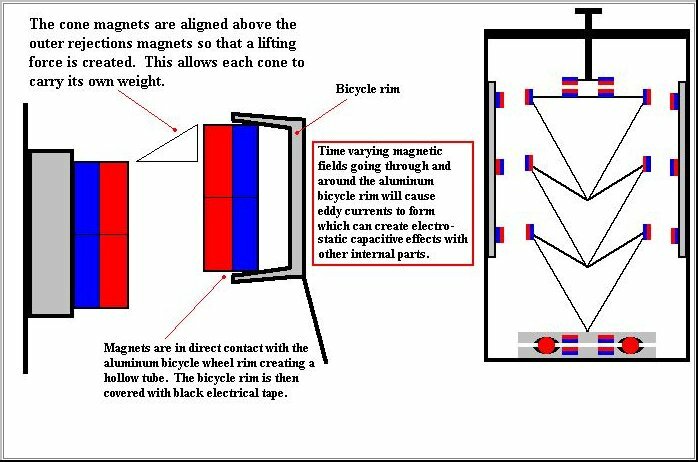 The Levity Disc uses a nested arrangement of concentric rings (plates) and runners (encased magnets) to create very high electrostatic potentials with self-rotation being achieved at a certain threshold. 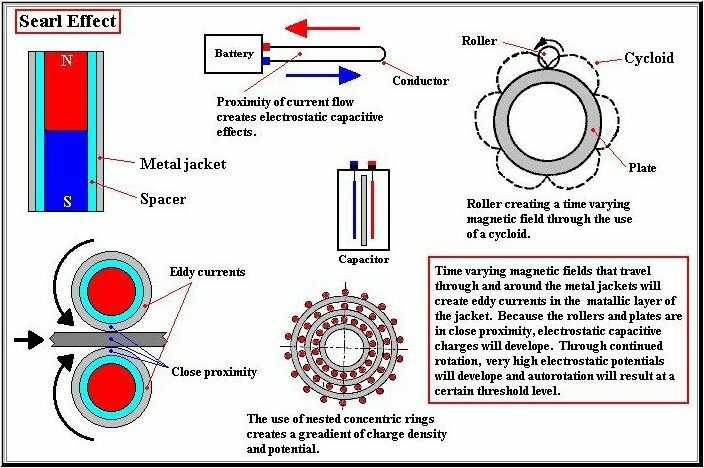 Hamel's UFO motor uses a flow of air that moves between and around specially designed "turbine capacitor plates" that will charge up in a similar manner as Searl's device. 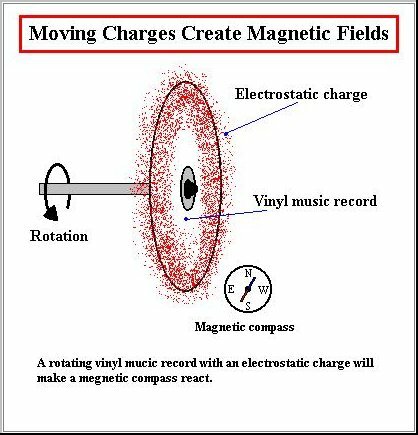 This flow of air will eventually become a circulating plasma. 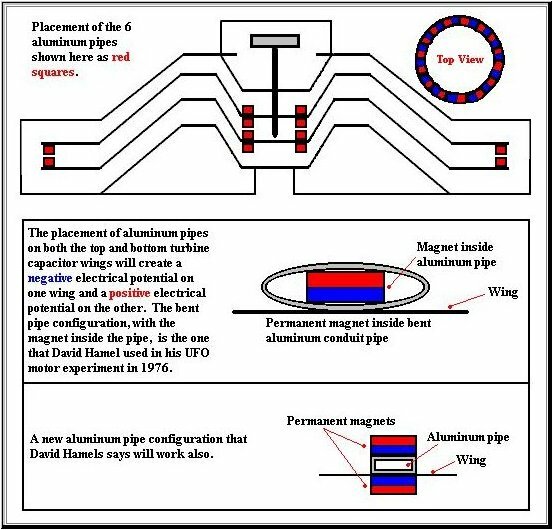 During a recent telephone conversation with Mr. Hamel, Mr. Hamel admitted that the aluminum tubes used, with the permanent magnets inside, is what creates different electrostatic potentials on the two oscillating UFO wings!